It started as a bet in 2002 and grew into the now famous Öttilö race series. It is an endurance event completed in teams of two. Participants will alternate between overland runs and open water swims all while staying within 10-meters of their partner. Camp YI, Long Hunter State Park and Lake Percy Priest is a fantastic place for a SwimRun event in Tennessee. Teams include all-male, all-female, and mixed-gender. Participants will swim in their shoes and run in their wetsuits to minimize transition time and gain a competitive edge. Short Course: The Short Course will begin at 9:00 am at Camp YI with a short run to your first swim there. 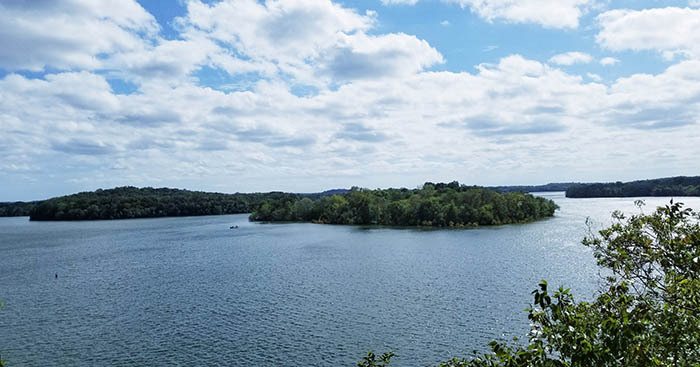 In addition to the Camp YI peninsula and Long Hunter State park, the Short Course will experience three islands.This course will be approximately 1.5 miles of swimming and just under 7 miles of running. Long Course: The Long Course will begin at 8:30 am at Camp YI with a short run to your first swim. In addition to the Camp YI peninsula and Long Hunter State park, the Long Course will experience four islands. Athletes will travel counter-clockwise around the course alternating between swim and run legs for just under 11.5 miles of running and 2 miles of swimming. For more information including full list of the course rules, equipment needed and course maps, visit www.SwimRunTennessee.com. Safety is of the utmost importance to the organizers of SwimRun Tennessee. As with all of our events, we will be tracking the weather in the weeks and days leading up to the race. Please keep in mind that this event has a no refund policy and this includes if the race is cancelled due to an “act of God.” All race related items have already been paid for by the race production team. Check out some pics from Camp YI, Long Hunter State Park, Lake Percy Priest and surrounding area.